Grain, greens and plenty of veggies make this simple salad filling and tasty. Try it as a light dinner or stunning side. Combine quinoa, water and ¼ teaspoon salt in a medium saucepan. Bring to a boil over high heat. Reduce heat to maintain a gentle simmer; cover and cook until quinoa is tender, 12 to 15 minutes. Drain any remaining liquid from quinoa and fluff with a fork. Spread the quinoa and fluff with a fork. Spread the quinoa out on a large rimmed baking sheet to cool for 10 minutes. Plate carrots and mixed greens. 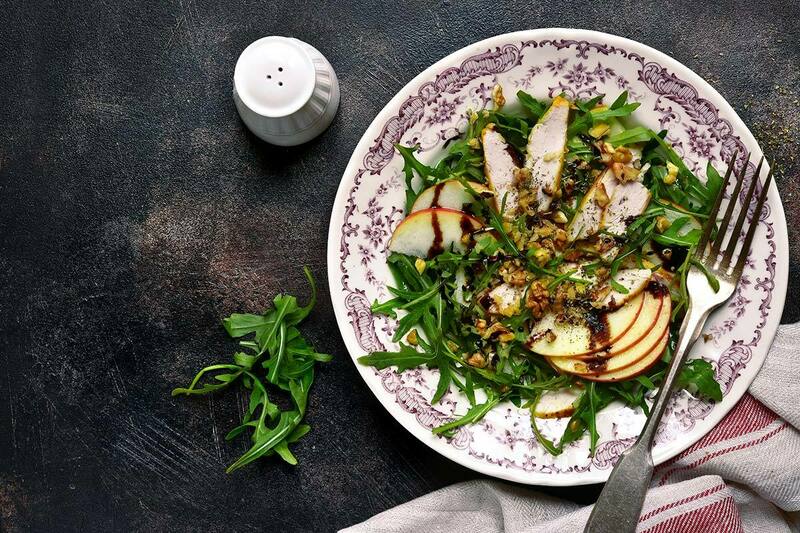 Top with quinoa, apple slices, walnuts and red onion. Drizzle dressing on top. This salad pairs well with salmon for an omega-3 boost. This simple concoction from Michael Werner of The Jacobson combines seasonal ingredient's into a fresh node to Summer.